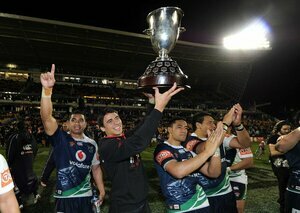 For the first time the Junior Warriors had their own jersey in 2011. 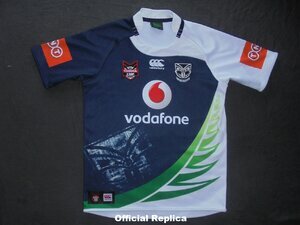 It was designed by Daryl John, who won a competition run by sponsors Vodafone and Canterbury of New Zealand to design a new jersey for the team. Also for the first time the U20's jerseys were sold to the general public. After 3 years as the U20 sleeve sponsor, Allied Work Force was replaced by TNT. OFFICIAL REPLICA - Dont think this jersey was made in large numbers and they were on sale for sometime after the season finished. You might see 3-4 come up for sale every year but they dont go for much. 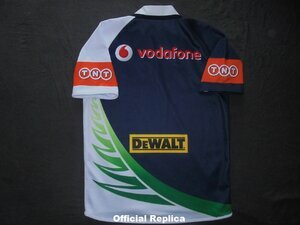 PLAYERS JERSEYS - Same as the official replica but with a white number on the back.